An academy leader is one of 12 new commissioners appointed today to join the Social Mobility Commission, education secretary Damian Hinds has announced. 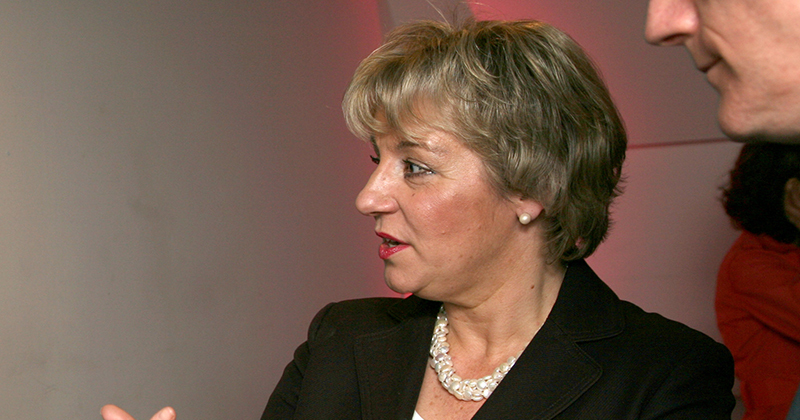 Approved by the prime minister and the public appointments committee, the team will join chair of the commission Dame Martina Milburn (pictured above), the head of the Prince’s Trust, who took up the position in May. The new commissioners will start their new roles next month with an event planned to mark the Commission’s relaunch on the morning of December 11. Sammy Wright, the vice principal of Ofsted ‘good’ Southmoor Academy in Sunderland, is among the group, which also includes volunteers, journalists and representatives from the business and technology sectors. The commission, which sits within the Department for Education and monitors progress towards improved social mobility, was previously headed up by ex-Labour cabinet minister Alan Milburn. He resigned as chair in December 2017, along with the remaining members of the committee at the time who left due to a “lack of political leadership”. The government began its search for a new social mobility tsar in February and eventually chose Dame Milburn, who was endorsed by MPs. In July she revealed that she was personally approached for the role by Hinds after the first deadline had passed, and asked to consider applying for the job. In March, the parliamentary education committee demanded extra powers for the social mobility commission, including the power to publish impact assessments on social justice in legislative proposals. MPs also called for a social justice minister to be appointed, and said the commission should be renamed “the Social Justice Commission”. But in a response released in May, the DfE said it would not be making the changes proposed, because government departments are “best placed” to consider the impact of policy and legislative proposals on social justice, “as they are the experts in their policy areas”. The last major publication from the commission was its 2017 “state of the nation” report, which included findings that children from disadvantaged backgrounds going to school in former manufacturing urban areas, such as Kettering or Doncaster, had some of the poorest outcomes in the country, while those in remote countryside or coastal areas were also showing weak performance. Commenting on the new appointments, Milburn said: “I am delighted to welcome a record number of social mobility commissioners who will work to make England a fairer society. Hinds added: “This new team of commissioners brings together established business men and women, policy makers, academics and young people all with important perspectives to bring.